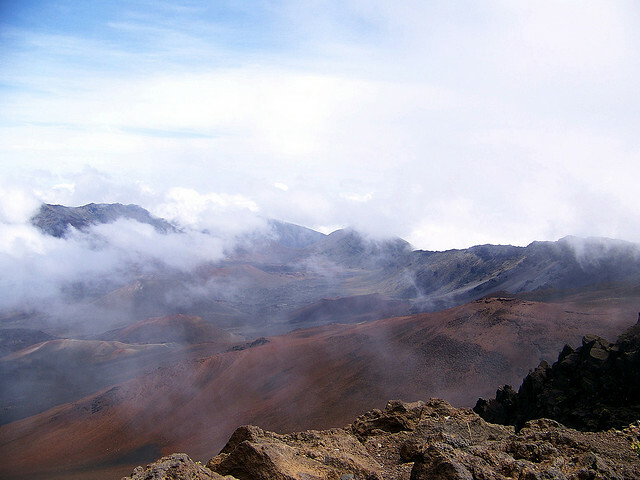 Welcome to Hawaii's Beautiful Haleakala National Park. This beautiful terrain has been a place visited by people ever since the first Polynesians arrived in the Hawaiian Islands thousands of years ago. It was the location of a wedding party in the year 1890 (Hell of a place to have a party!). In more recent years the Civilian Conservation Corps operated work camps on this land during the Great Depression and they helped to construct the park's amenities and remove invasive species. To this day invasive species are a major problem in Hawaii with a new species arriving on one of the islands approximately every 20 days. Flora and Fauna: Haleakala National Park helps protect the home of more endangered species than any other National Park in the United States. Most of the more than 370 species of plants that grow inside the park are only known to grow in the Hawaiian Islands. Being in isolation for millions of years brought many unique aspects to some of these plant species like the unusual silversword. Some of the wild animals found inside Haleakala National Park include honeycreepers, and Hawaiian geese. Please treat their home with respect. 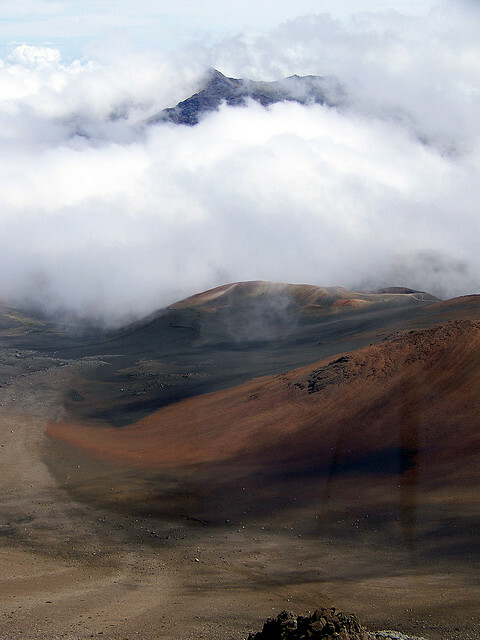 For the lover of the outdoors Haleakala National Park boasts a 10,023 foot volcano, over 30 miles of trails including guided hikes through the cloud forest, and so much more. Come on out and explore.